Featuring Elsa, Anna, Olaf and Kristoff from the smash hit movie Frozen, the 9 minute 'A Frozen Holiday Wish' castle lighting show is a rework of the previous 'Cinderella's Holiday Wish' show. 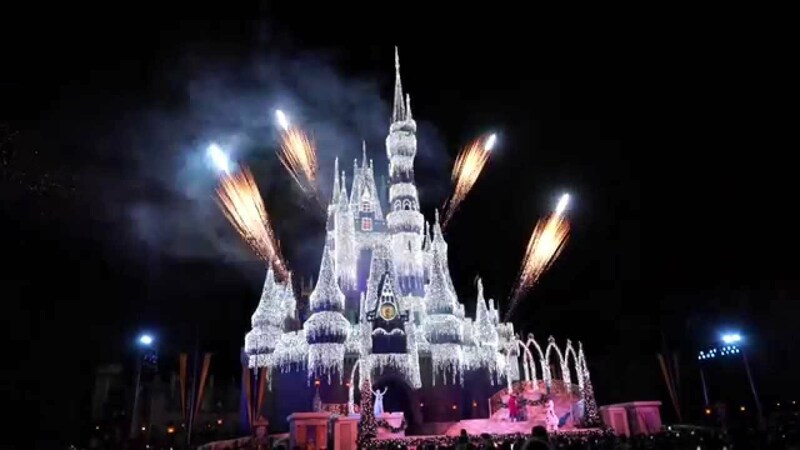 As before, the 200,000 LED castle DreamLights are used to cover Cinderella Castle in ice white. New for this version of the show is the use of projection mapping technology installed for Celebrate the Magic. Both the projections and the LED lights combine for an extended lighting ceremony. 'A Frozen Holiday Wish' begins on November 5, and runs through to December 31 2014. Show times are 6:15pm and 7:30pm on regular park days, and 6:15pm and 8pm on Mickey's Very Merry Christmas Party nights. 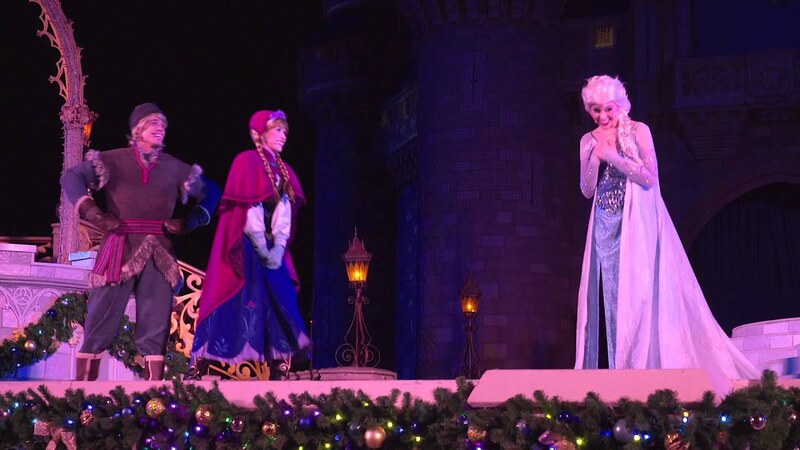 'A Frozen Holiday Wish' replaces the previous 'Cinderella's Holiday Wish' show.